A porcelain veneer is a thin porcelain facing that is bonded to the front of your tooth, and is used to change your tooth’s size, shape and/or color. Porcelain veneers are an excellent way to enhance the appearance of your teeth, and could be the answer you are looking for if you are unhappy with your smile. Dr. Khetani uses very high-quality porcelain to make your veneers extremely natural-looking and aesthetic, and takes great care with each step of the procedure to ensure you are comfortable during your treatment and happy with the final result. 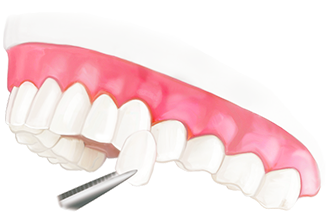 Veneers require some tooth preparation in order to be placed. A small layer of enamel on the front of the tooth is removed so the veneers will look natural once placed, and the teeth will not appear too bulky. 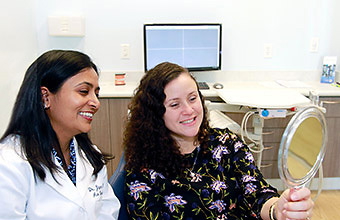 If your teeth have only small imperfections and need minor correction, Dr. Khetani can provide minimal-prep veneers that are ultra-thin and require very little removal of enamel, thus preserving your natural tooth structure as much as possible. She can let you know if you are a candidate for these veneers after a full examination. Dr. Khetani plans and prepares your veneers with great care so your final result will be beautiful and natural-looking. 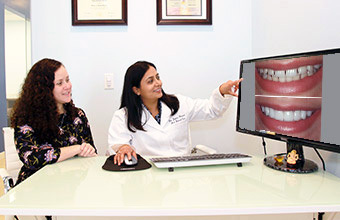 During your preliminary exam and consultation, Dr. Khetani will find out what you want to change about your smile so she can use that information in planning the look you desire. 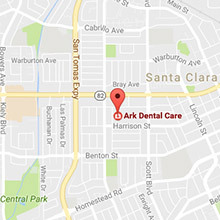 Dr. Khetani knows that a base of good oral health is vital to the success of your treatment. She will ensure that any needed dental cleaning or treatment for cavities or gum disease is done before preparing your veneers. 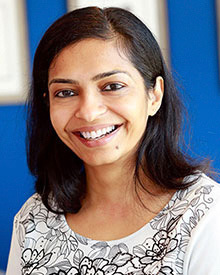 Dr. Khetani will explain every step of your treatment in detail. To plan your treatment, Dr. Khetani takes full digital X-rays and digital photos of your teeth for use in a comprehensive smile evaluation. She will also take impressions and make a cast model of your teeth to aid her in the design of your veneers. Dr. Khetani will gently prepare your teeth by removing just enough tooth structure to form a strong bonding surface and compensate for the minor added thickness of the veneers. A new impression of your prepared teeth will then be taken, which will be used by our lab to make your final veneers. 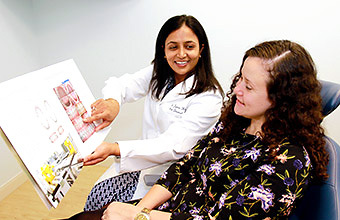 Dr. Khetani takes great care to get a completely accurate impression, as even minor distortions can lead to veneers that are not properly shaped or sized. Dr. Khetani will place beautiful and functional temporary veneers for you to wear for about two weeks while your finals are being fabricated by our lab. She will give you specific instructions on how to take care of them, as temporaries are not made of the same strong porcelain as the permanent restorations. Your veneers will give you a beautiful new smile. Once your final veneers have come back from the lab, Dr. Khetani will show you how they look on you before placing them permanently. She will have you try them on using a temporary cement that is the same shade as your veneers. She will make any adjustments needed so that you are totally happy with them. After you have given your final approval, she will then bond them permanently to your teeth, giving you a beautiful new smile! 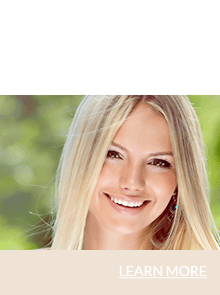 Come and See Us for a Personal Consultation! Come and see Dr. Khetani for a Complimentary Cosmetic Consultation and find out how veneers can help you get the smile you’ve always wanted. The doctor will consult with you about your smile goals, explain the process of treatment with veneers, let you know about any other cosmetic treatment options that might be right for you, and answer all of your questions.